The SPS 2016 agenda is jam-packed with practical advice on building successful telehealth programs, companies and partnerships. SPS speakers are nationally known telehealth innovators, experts and thought leaders, including C-suite officers of some of the country's largest health-care companies, telehealth company founders and leaders, legal and regulatory authorities, health-care investors, and telemedicine program trendsetters. Phoenix, AZ, March 24, 2016	(Newswire.com) - In response to the overwhelming success of the first Telemedicine & Telehealth Service Provider Showcase (SPS), the Arizona Telemedicine Program (ATP) is organizing the second SPS, to be held June 21-22 in downtown Phoenix, AZ. SPS 2016 again will focus on building partnerships to bring quality medical specialty services directly into hospitals, clinics, private practices, schools and other entities through telehealth technology. The goals are to improve patient care and outcomes and to increase market share for both healthcare providers and the telehealth service providers they partner with. 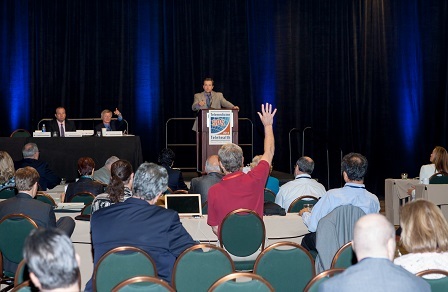 SPS 2016 confirmed speakers are nationally known telehealth innovators, experts and thought leaders who will offer practical advice on identifying winning telehealth strategies, succeeding as a telehealth service provider, building effective partnerships, creating successful integration approaches and negotiating regulatory hurdles. Irene Krokos, MD, Senior Medical Director, Molina Healthcare, Inc.
SPS 2016 is expected to draw 300-400 attendees, including corporate executives exploring telemedicine, telehealth and mobile health; hospital and healthcare administrators; telehealth legal, regulatory and reimbursement managers; telemedicine and telehealth service providers; healthcare practitioners; and telemedicine/telehealth equipment and solutions vendors. Offering a broad array of tele-medical specialty services and models in a single expo hall, SPS 2016 will provide a forum for networking and for seeing and discussing the latest trends in clinical telehealth. The convention is co-hosted by the ATP; the Southwest Telehealth Resource Center; and the Four Corners Telehealth Consortium, which includes the University of Arizona Health Sciences, University of Colorado Anschutz Medical Campus, University of New Mexico Health Sciences Center, and Utah Telehealth Network. SPS Co-chairs are nationally and internationally renowned experts in the field and past chairs of the American Telemedicine Association (ATA): Dale C. Alverson, MD, FATA, FAAP, Medical Director, Center for Telehealth, University of New Mexico Health Sciences Center; and Elizabeth A. Krupinski, PhD, FSPIE, FSIIM, FATA, Director, Southwest Telehealth Resource Center and Professor and Vice-chair, Research, Department of Radiology & Imaging Sciences, Emory University. SPS 2016 Honorary Chairs are speakers Sanders and Weinstein, both of whom are Presidents Emeriti of the ATA. Deadline for poster abstracts is April 15, 2016. To submit abstract click here. Early bird registration ends April 30, 2016. To register for the conference click here. The second national Telemedicine & Telehealth Service Provider Showcase (SPS 2016) is coming to Phoenix, AZ, June 21-22, 2016. The SPS 2016 expo hall is a networking forum featuring a broad array of tele-medical specialty services and models, including top names in the industry. Focused on advancing telehealth partnerships. SPS provides practical advice from nationally recognized telehealth experts and showcases the latest trends in clinical telehealth.